Not sure about upgrading to Ultimate? Try 4 weeks digital access for £1. 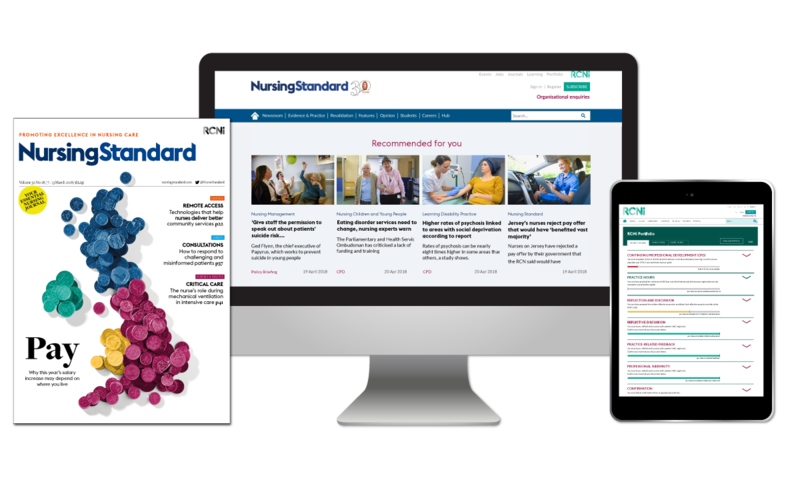 Get the latest news, revalidation guidance, policy updates, clinical practice, peer-reviewed CPD and research articles sent straight to your door or inbox. 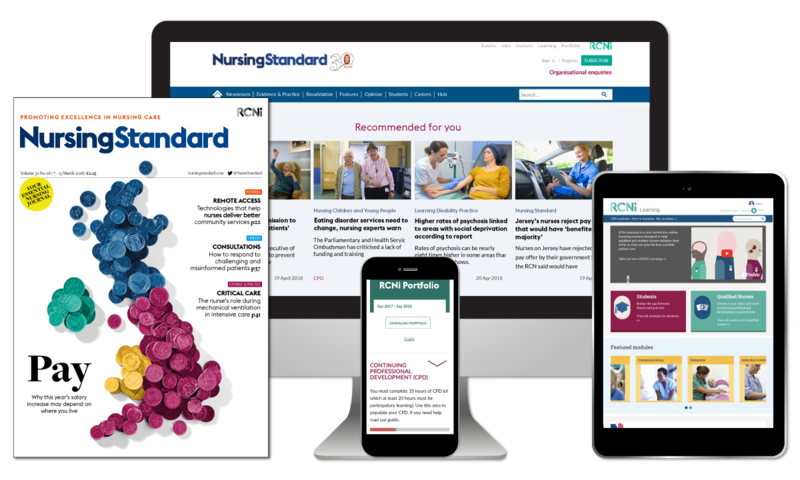 Unlimited access to breaking news, careers advice and a fully searchable archive of clinical and CPD articles. You can even read 10 free articles a month from any other RCNi journal, no additional subscription required. 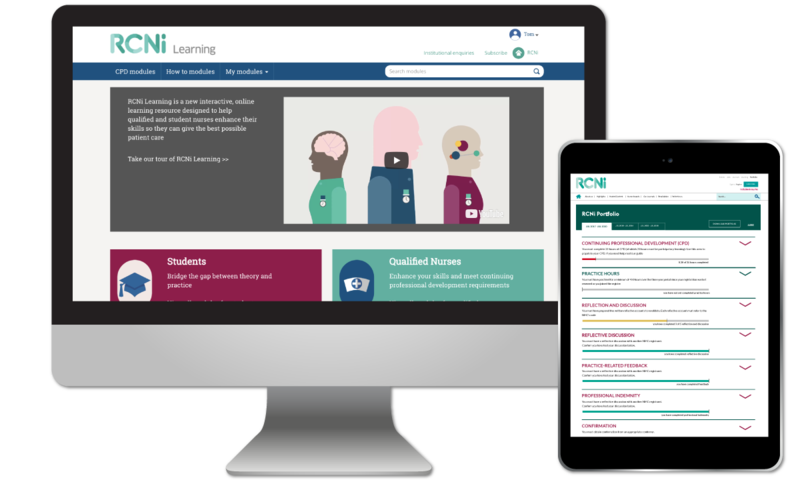 With over 200 RCN-accredited modules to choose from, this interactive learning resource will help you enhance your skills and meet personal CPD requirements for revalidation. All content is evidence based and peer-reviewed by industry experts to ensure it promotes best practice. Store, build and track your evidence for revalidation in one easy to manage online space. 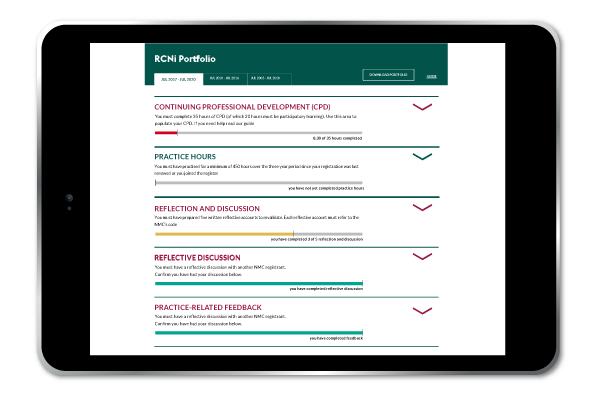 RCNi Portfolio includes access to a library of CPD articles and interactive self-assessment exercises that once complete, can be saved straight into your portfolio. 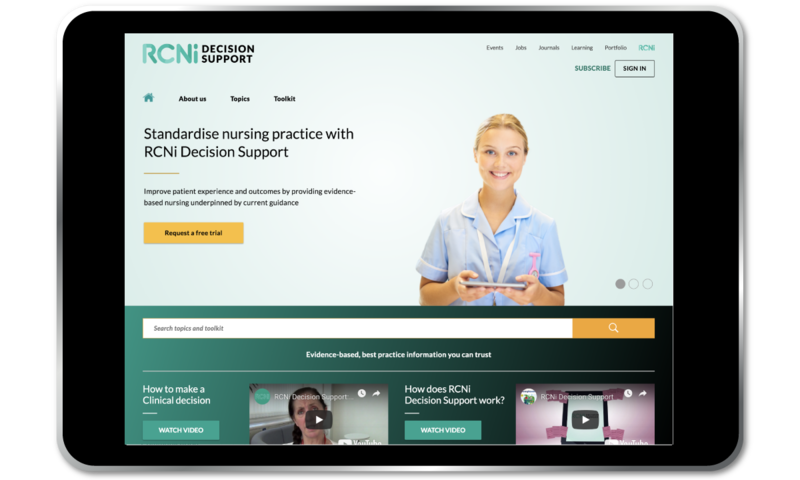 With over 100 topics to choose from, the UK's first and only decision support tool for nurses is designed to help guide your thinking and support you in delivering safe and effective patient care that meets the UK's best practice guidelines. Organisational and team subscriptions are available for RCNi Journals, RCNi Portfolio, RCNi Learning and RCNi Decision Support. Find out how RCNi can help you support your nurses or students.